As hard as it may be to believe, it’s being reported that the network is currently in serious negotiations to bring back Scrubs for a ninth season. ABC, whose production studio produces the comedy, brought Scrubs to its schedule this season after seven seasons over at NBC. The ratings didn’t warrant it but the move/renewal was made largely because of the revenue that additional episodes would generate in the sitcom’s syndication package. This year’s rating have been even worse than last, averaging about five million viewers. Both series star Zach Braff and creator Bill Lawrence have said that they were leaving, as has longtime castmember Judy Reyes. On top of that, Donald Faison, John C. McGinley and Neil Flynn have all been cast in new pilots. 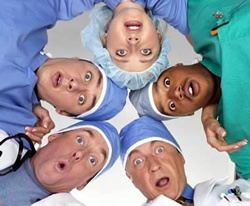 Do you think Scrubs will return for season nine? Nah. It's not coming back. Still, the Hollywood Reporter says that ABC is in serious talks with Lawrence and some of the cast to bring Scrubs back for yet another round of episodes. In an April 16th posting on ABC’s Scrubs forum, Lawrence put the chances of renewal at 50/50. An earlier report said that the deal would be contingent on Braff agreeing to return to appear on a few episodes. 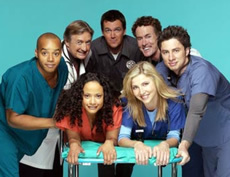 In the case of Faison, McGinley, and Flynn, another season of Scrubs would be in “second position” for each of the actors. That means that, if one of their pilot were to get a series order, that actor would only be available for occasional appearances on Scrubs, at best. Since the show’s budget will play a large role in the network’s renewal decision, rotating guest appearances could end up being a plus. In addition to the additional syndication revenue that season nine would create, the network is reportedly happy with Scrubs as a sitcom lead-in for Better Off Ted. The series that has attracted some critical praise but has also been largely ignored by viewers. ABC is supposedly still considering bringing Ted back next year as well. BRING BACK SCRUBS… WE NEED MORE DR. REED!!!!!!! Scrubs is great, my fav show by far! i hope they decide to bring it back, even if Zach is only in a few episodes, they do such a great job of writing the show that i think it will still be great! keeping my fingers crossed! what’s scrubs going to be like without zach braff? or even judy reyes? 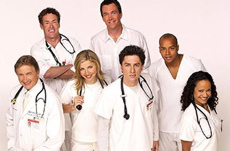 without the original cast members who cares to see a season 9. scrubs has made me laugh for years.sometimes change is good but not everything can fill those missing links. Bringing a 9th season would be great. After a My Finalle im sure at least 50% of the 37mill fans will want to See it. I also completely disagree with robycop. I thoroughly enjoy every episode of Scrubs. I just watched the season finale where J.D. is leaving the hospital. I think it was well played. I really hope Braff changes his mind and goes back with Scrubs. I would like to see all the cast there for one more season. i disagree with robycop because i love scrubs i dont think its old and will never get old or stale. it is hilarious and should still go on. Apparently ABC has the Brett Favre Syndrome, not recognizing when a series has run its course & viewer interest is over-or, they’re so devoid of any promising new stuff that they are forced to stick with old, stale stuff.